Rory Miller thought her life was over when a serial killer set his sights on her and forced her into witness protection. She was partially right. Her new life in Juniper Landing Island is a beautiful place for a fresh start…in the afterlife. But there’s more to it than just a fog rolling in every day as a threat lingers in the shadows and the fog itself threatening everything Rory loves and holds dear. 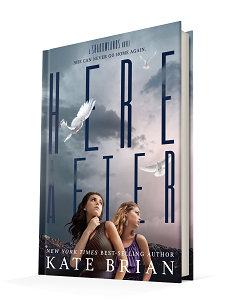 Published October 1, 2013, by Disney-Hyperion Hereafter by Kate Brian is the second novel in her young adult supernatural thriller. Kate Brian has tapped into her supernatural element with her Shadowlands series by creating a unique setting for the afterlife. The story is all about the balance of the afterlife and helping wayward souls find their place in the afterlife. It’s interesting how it functions because it follows young adults who were all taken too soon yet did something remarkable in their life to warrant them as guiders. For Rory what she did was more in self defense, but it questions death and the place it has in her life and the readers life. She feels this ache within her, even though she knows she dead and it helps her character to move forward, but it also creates a bridge between who she was and who she is now. Brian takes the time to develop the character properly and her sense of identity within this strange new world she has entered because even though she killed someone in self-defense, it’s not something to be taken lightly. It’s a tough subject to address but Brian does it very well by presenting a strong narrative that has a lot of internal struggle. 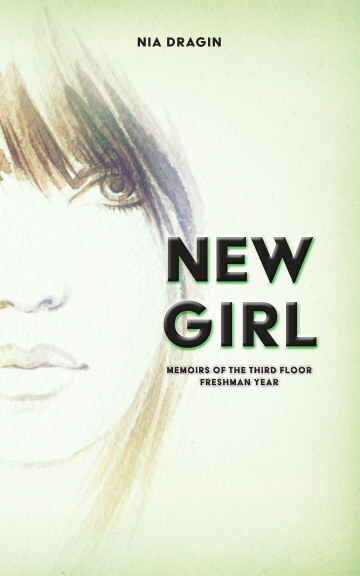 Rory struggles with who she is and the direction her [after]life has taken her. She feels undeserving and confused but the sense of happiness and romance lingers within her character. It makes her strong and a nice well rounded character. As for the story itself, on some level it mirrors Rory’s uncertainty. The landscape is shifting and there’s an unknown ominous perspective that lights up the tension of the story. Something is happening to the realm of Juniper Landing and its unclear what, but the tone of the story sets up everything brilliantly because it draws the reader in. Brian doesn’t devote more than a page to the ominous point of view and she doesn’t give it away either. There is no way for the figure out who the voice belongs to and that sense of detachment only serves to make the story more eerie. It’s a story that is haunting for many reasons, not just because the reader knows that all these characters are dead, but because it goes deeper than that. It explores the past and the present, and compiled together it’s complicated as it evaluates each character and what brought them to this point in their lives that left them lost in death.